← Does the U.S. Nuclear Industry Have a Future? The nation has been building a series of artificial islands in the South China sea as a means of projecting military power in the region. The islands need power and potable water which could be supplied by the floating reactors. China’s geopolitical ambitions are to control maritime traffic which the U.S. and its allies, Japan and South Korea, see as an effort to restrain their military presence in the region. Once the reactors are in place China will use the military assets they support on the artificial islands to protect them. Conceptual cutaway drawing of a Chinese floating nuclear power plant. Image source: China National Nuclear Corp. The China Daily reports this week that a joint venture to develop and produce as many as 20 small, floating nuclear power plants has been set up by State-owned China National Nuclear Power Co and four other domestic companies, according to an announcement released on August 9th. The new venture would start with 1 billion yuan ($150 million) in registered capital, the announcement said. Exploitation of marine resources is vital to China’s efforts to build itself into a maritime power, said Wang Yiren, deputy director of the State Administration of Science, Technology and Industry for National Defense. Such marine plants can sail to where they are needed and be used for many different needs. The demand for such power plants, expected to be in the range of 200 MW, is will grow given that China is building artificial islands in the South China sea as part of an effort to project military power in the region. The joint venture will seek to strengthen China’s nuclear power capabilities in line with its ambitions to “become a strong maritime power,” the company said in a statement. The statement did not say how or where the technologies will be used, but observers told Reuters it is likely they will be deployed in areas such as the South China Sea. According to Reuters Wang Yiren, vice-director of the State Administration for Science, Technology and Industry for National Defense, said earlier this year that the expansion of China’s nuclear energy capabilities was a vital part of its five-year plan. The country will prioritize the development of a floating nuclear power platform in order to support its offshore oil and gas activities, and its presence in the Paracel and Spratly Islands, he told state media. Beijing has increasingly been flexing its muscles in the South China Sea, with the development of artificial islands and more frequent naval patrols. It has declared sovereignty over 85% of the region and is engaged in multiple territorial disputes with its neighbors. The guided-missile destroyer USS John S. McCain. Image: U.S. Navy file photo. 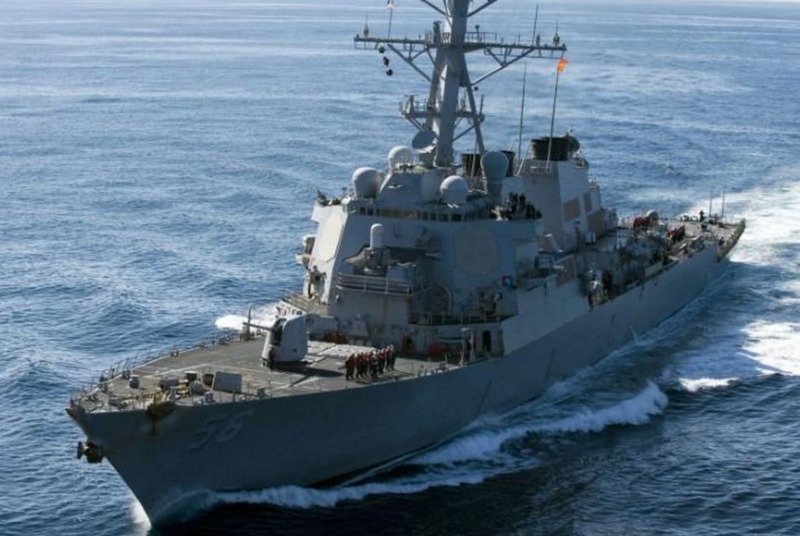 In response a U.S. Navy destroyer, the guided-missile destroyer USS John S. McCain, carried out a “freedom of navigation operation” on August 9th, coming within 12 nautical miles of an artificial island built up by China in the South China Sea, U.S. officials told Reuters. Carlyle Thayer, a regional security expert at the Australian Defense Force Academy, said that if nuclear power plants were built in the South China Sea, Beijing would have to provide security for them. Although the nuclear power plants would have both military and civilian uses, it would “raise the cost of the conflict” in the region, he said. A military engagement involving the artificial islands could damage the floating reactors and release radioactive materials from them resulting from explosions caused by the battle. The subsequent contamination might make the artificial island uninhabitable for decades. China National Nuclear Power (CNNP) will jointly set up the new company with Zhejiang Zheneng Electric Power Co, Shanghai Guosheng Group Co, Shanghai-based Jiangnan Shipyard Group and Shanghai Electric Group, the statement said. 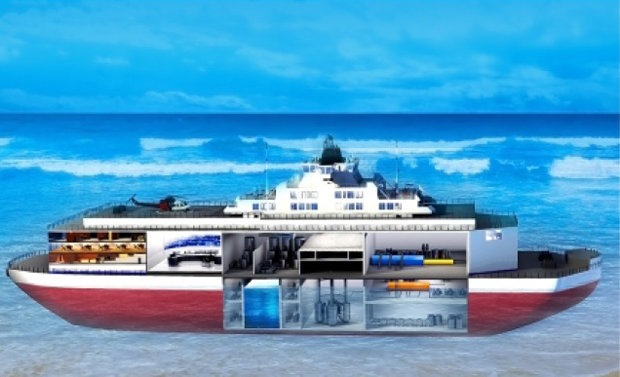 The new company will be involved in maritime nuclear power research, development, building, operation and management, as well as power sales and seawater desalination. “It is hard to choose the site for large nuclear reactors as they have high hydrological and geological requirements, and safety is always a major concern for local residents living in places with large nuclear stations, which see 60 to 70 years of service life,” said Han Xiaoping, chief information officer of China Energy Net Consulting Co.
“Small nuclear reactors, however, can provide cheap and sustainable electricity,” he said. One kilowatt-hour of electricity generated by an offshore nuclear plant costs about 0.9 yuan, compared with 2 yuan for the same quantity generated by diesel for use by drilling platforms in the Bohai Sea. The Economist reported this week building power stations at sea is cheaper than those on land. Jacopo Buongiorno, a nuclear engineer at the Massachusetts Institute of Technology, told the magazine that electricity from a marine station would cost at least a third less than that from a terrestrial equivalent. They also can be moved to isolated areas when they reach the end of their service life, Han said. For instance, the reactors could be disposed of by sinking them in deep ocean trenches which gives new meaning to the concepts of time, distance, and shielding. Floating nuclear reactors can also be exported to economies with large populations but scarce land resources, including economies participating in the Belt and Road Initiative such as Pakistan, Bangladesh and Myanmar, Han said. China National Nuclear Power said establishment of the new company also is in accordance with the Belt and Road Initiative. Han Xiaoping, the chief information officer of China Energy Net Consulting Co. noted that Russia started its own project in 2000. However, China is not lagging behind Han said. Development of the 200 MWt (60 MWe) ACPR50S reactor design was approved by China’s National Development and Reform Commission in late December 2015 as part of the 13th Five-Year Plan. The Economist also reports that Russia is actually ahead of China having utilized shipyard construction methods to build the first Russian floating reactor. The Akademik Lomonosov, is under construction at the Baltic Shipyard, in St Petersburg. According to Andrey Bukhovtsev of Rosatom, the agency that runs Russia’s civil nuclear program, it is 96% complete. 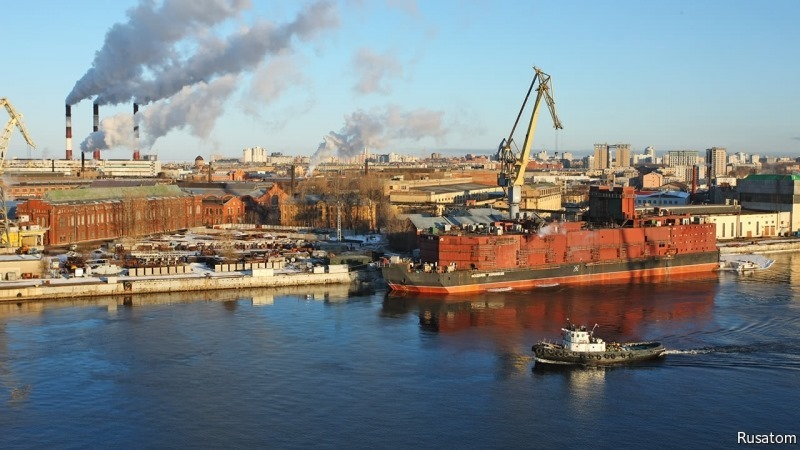 It will be launched later this year, towed to Murmansk, and then transported to Pevek, a port in Russia’s Far East, where it will begin generating power in 2019. The reactors are expected to be fueled and operating prior to starting the journey. The Akademik Lomonosov consists of two 35MW reactors mounted on a barge. The reactors are modified versions of those used to power Taymyr-class icebreakers. To add to their safety, the barge bearing them will be moored, about 200 meters from shore, behind a storm-and-tsunami-resistant breakwater. Russian icebreakers used U235 enriched to about 35% and their small size haws been studied by Los Alamos National Laboratory here in the U.S. for possible use in commercial SMRs. Altogether, Akademik Lomonosov will cost $480m to build and install—far less than would have to be spent constructing an equivalent power station on land in a remote and hostile environment. (NucNet) Romania’s minister of energy, Toma Petcu, said Romanian authorities want to conclude this year the negotiations with the Chinese for the construction of two new nuclear reactors at the Cernavoda nuclear power station. In a social media post Mr Petcu said he had met the Chinese ambassador and they had agreed that both Romania and China want the negotiations to be accelerated and finalised by the end of the year. In July 2014, reactor manufacturer Candu Energy of Canada said it had signed an exclusive and binding agreement with China Nuclear Power Engineering Company, a subsidiary of China General Nuclear Power Corporation (CGN), to cooperate on the construction of the two units, both of the Candu-6 type. In November 2015, Romanian nuclear power operator Nuclearelectrica and CGN signed a memorandum of understanding on the development, construction, operation and eventual decommissioning of Cernavoda-3 and -4. In July, the Romanian government adopted a memorandum for the construction of the units, allowing negotiations to continue with CGN.